We recently held a photo contest with our newsletter viewers, telling them to send us a picture of their old or retro office telephones. From the responses, it’s obvious that there are still a whole lot of older desktop phones out there doing their job! From ROLM phones to old Cortelcos to classic Nortel and Executone, folks took pride in showing off their reliable equipment. The fact is, plenty of offices and businesses are using phones and phone systems like this. They just plain work. At Black Box Resale Services, we carry a huge selection of used telephony equipment and will have just the right product to fit into your system. We stock old and discontinued products that you will not find anywhere else, and they have been meticulously reconditioned and tested to ensure that they will live on for many years to come. We repair and recondition old phones like this every day as well, so if that old rusty but trusty desk phone needs some TLC you can be sure that we will take cood care of it for you. By having your phones repaired, you extend the life of your equipment and get the most return out of your investment. Give Black Box Resale Services a call today at 877-415-3379 or visit our website to check out our inventory or learn more about our repair services. A comprehensive disaster recovery plan is essential for any business, and the telephony system might be the single most important component to safeguard. If your business is using traditional PBX technology through the local telephone company, you are guaranteed downtime and loss of revenue should a disaster make phone lines inoperable. Voice Over IP(VoIP) communications systems have built-in disaster recovery traits. Since voice data is transmitted over the Internet, data can be alternatively routed in order to avoid breakdowns in infrastructure caused by a disaster such as flooding, fire or inoperable lines. With a hosted VoIP solution, all of your voice data servers are housed in “The Cloud” offsite and accessed over the Internet. In the event of a catastrophe or disaster, your communications system can be brought back to functionality very quickly. There is virtually no lapse in business continuity. Once a new location is established, phones can be plugged into the network and you’re back up and running. In the interim before a new location is established, calls can easily be re-routed to mobile devices. There are many, many advantages to implementing a hosted VoIP communications solution in your business. However, it is a big switch and if your telephone system is operating sufficiently then why change it? Well, companies are now realizing the disaster recovery benefits of running a hosted VoIP system behind their current system strictly for the purposes of disaster recovery. The cost is minimal, and considering the speed at which business continuity can be restored after a disaster it simply makes sense. Sure, we offer thousands of products, but sometimes your customers need more than an off-the-shelf solution. That’s why we built more than 150,000 custom products last year alone. We’re committed to making sure you get exactly what you need for your specific application. 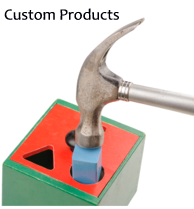 Our extensive range of custom capabilities include cables, adapters and faceplates. Many categories of UTP patch cables can be custom pinned, cut to specific lengths, even color coordinated. Need green cross-pinned CAT5e exactly 46 inches long? We do that!